David Shukan is a litigator with more than 20 years of experience, specializing in Intellectual Property matters. Before joining Valle Makoff, Mr. Shukan was a partner in the Los Angeles office of Kirkland & Ellis for almost ten years. He has represented plaintiffs and defendants in a wide variety of matters, from complicated, protracted, high-tech Internet and healthcare patent cases for major companies, to a series of broad injunctions against a wave of knockoff scooters right before a big holiday selling season. In 2005, he was one of the principal drafters of a highly publicized patent settlement that brought his client more than $1 billion. 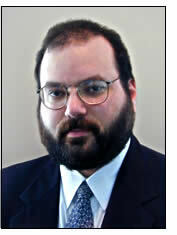 He has handled dozens of trademark and trade dress disputes and assisted in the design of numerous litigation-related consumer surveys, including in one instance a ground-breaking survey on consumer color perception. He has also represented studios, directors, and authors in various entertainment-related matters, including copyright and idea-submission cases, production disputes, and negotiations. Understanding that many Intellectual Property clients have legal needs that extend beyond litigation, Mr. Shukan has also developed an expertise in Intellectual Property transactions, particularly in licensing and confidentiality agreements. Mr. Shukan was named a Southern California Super Lawyer by Law & Politics Magazine in 2005 and 2006, an annual recognition based upon evaluations from other lawyers. He has also been honored by California Lawyers for the Arts for his commitment to pro bono work in the local artist community. And he has volunteered on occasion as a Judge Pro Tem, presiding over small claims cases in which both parties have agreed to have a temporary judge hear their dispute. Mr. Shukan began his legal career in 1989 at Skadden, Arps, Slate, Meagher & Flom, where he worked with Jeff Valle on numerous entertainment-related matters. Mr. Shukan earned his J.D. degree with Honors from the University of Texas in 1989. He graduated from Princeton University in 1986 with a degree in Physics and a minor concentration in Theater. Apart from his activities as a lawyer, Mr. Shukan sits on the Board of the Institute for Educational Advancement (IEA), a non-profit organization dedicated to identifying and providing academic and social programs for highly gifted children. Several times a year he designs and leads puzzle and game workshops for students in IEA programs. Mr. Shukan himself is a long-time puzzle and game enthusiast, having published several crossword and related puzzles, designed board games, and written and competed in, and occasionally won, some of the largest puzzle events in the country.